Only at CES could you combine a Nobel Prize-winning physicist, a NASCAR driver-turned-desert racer, and bright, night-penetrating laser high beams all into one glorious demo. 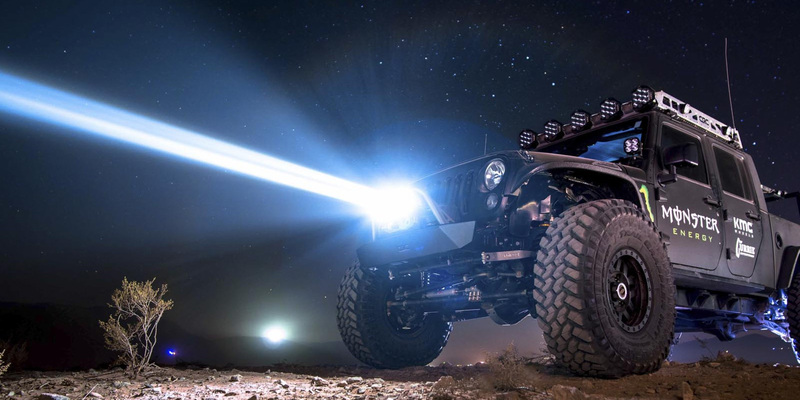 At this year’s Consumer Electronics Show a company called SLD Laser showed off a number of laser light products, including high-power night-into-day laser headlight technology. It’s really cool stuff.